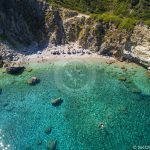 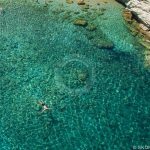 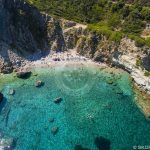 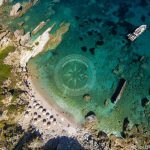 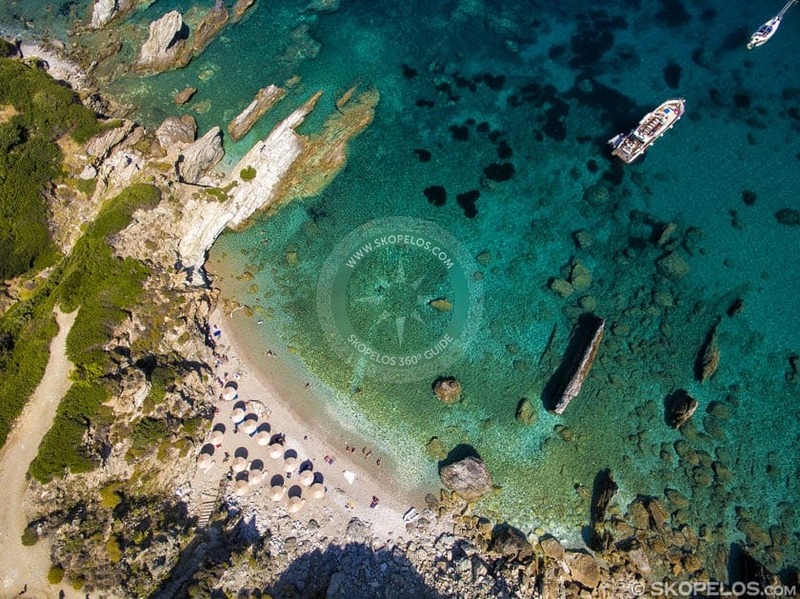 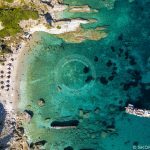 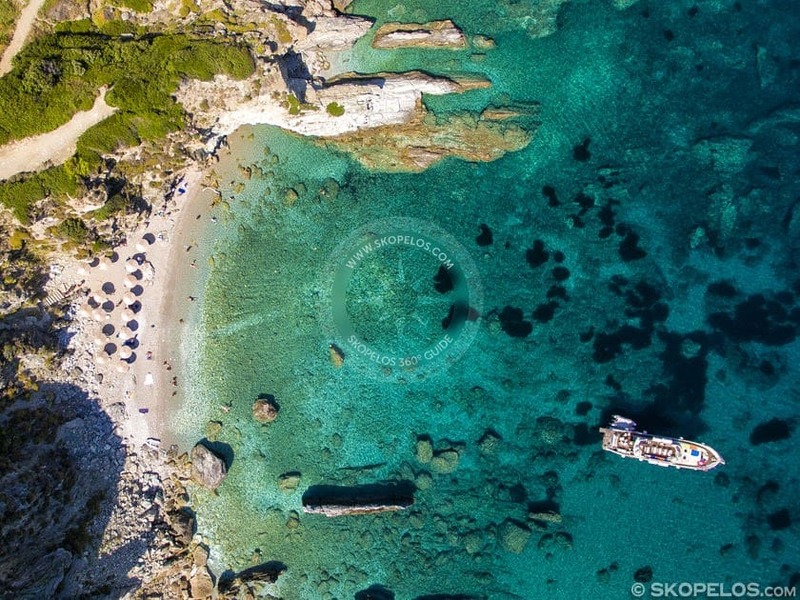 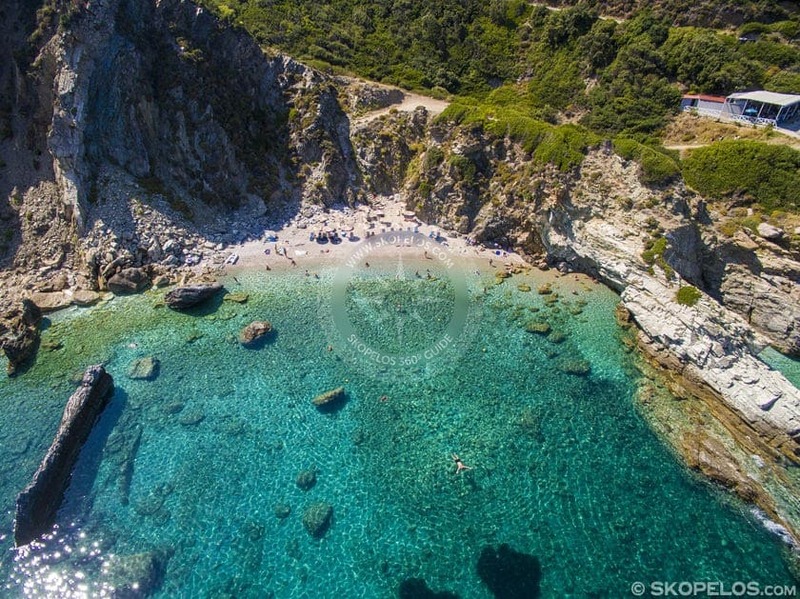 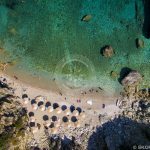 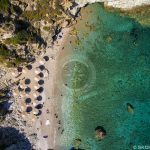 Just below the imposing rock that holds the chapel of Agios Ioannis Kastri, there is hidden, a small, idyllic beach with crystal clear waters. 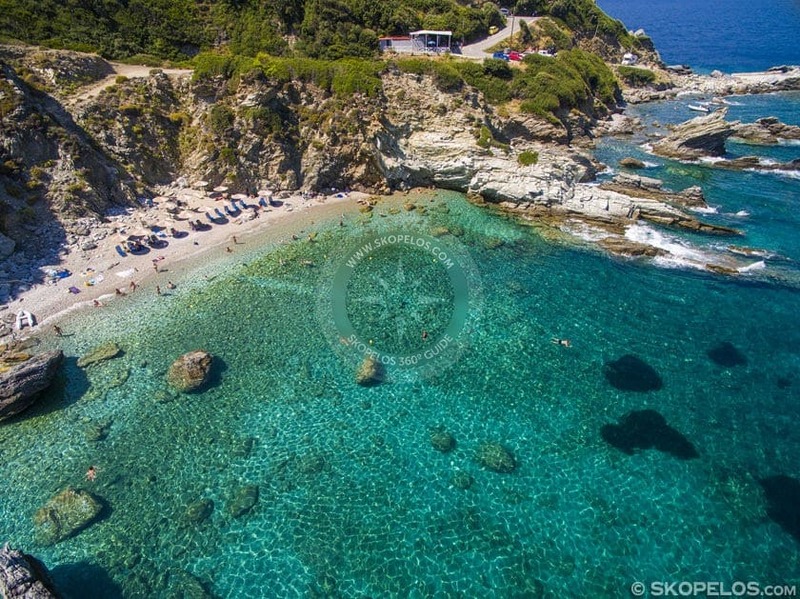 The beach of Agios Ioannis Kastri in Skopelos. 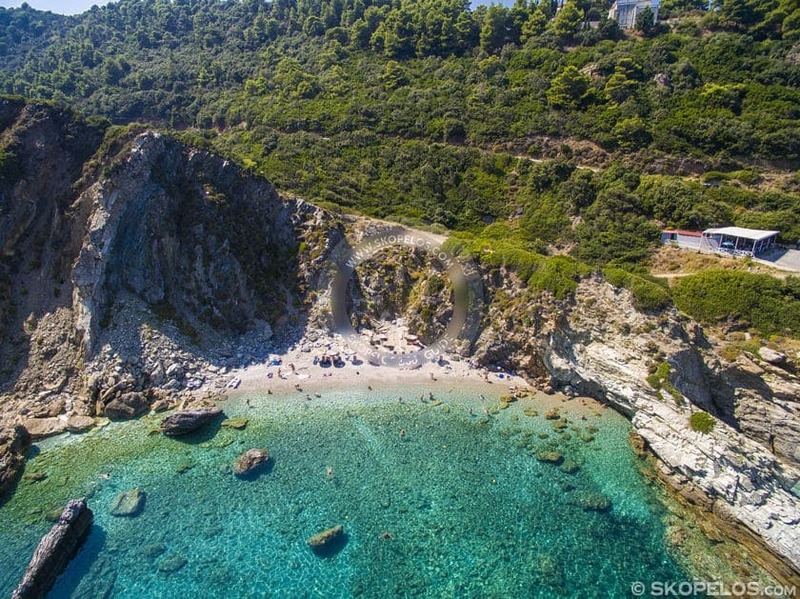 The combination of the impressive rock with the small beach creates a unique landscape for the visitor. 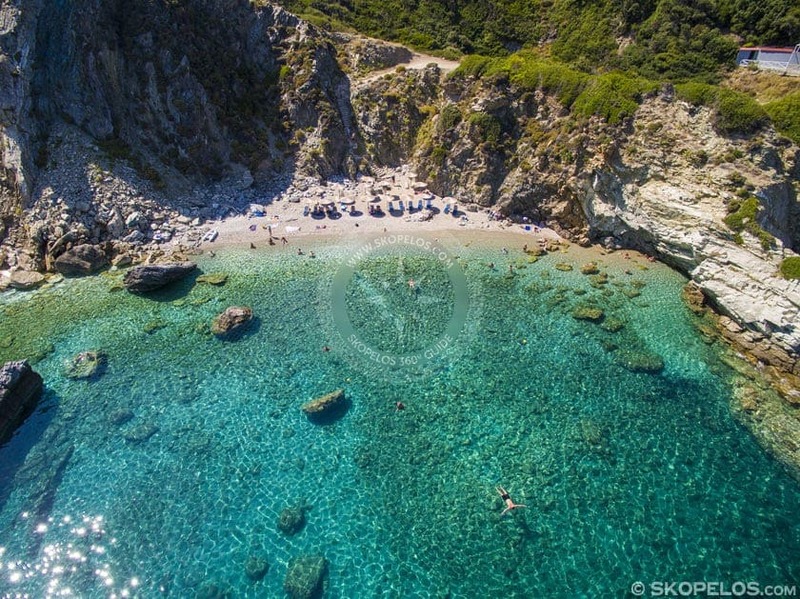 The beach is sandy, with small pebbles and stones with turquoise waters. 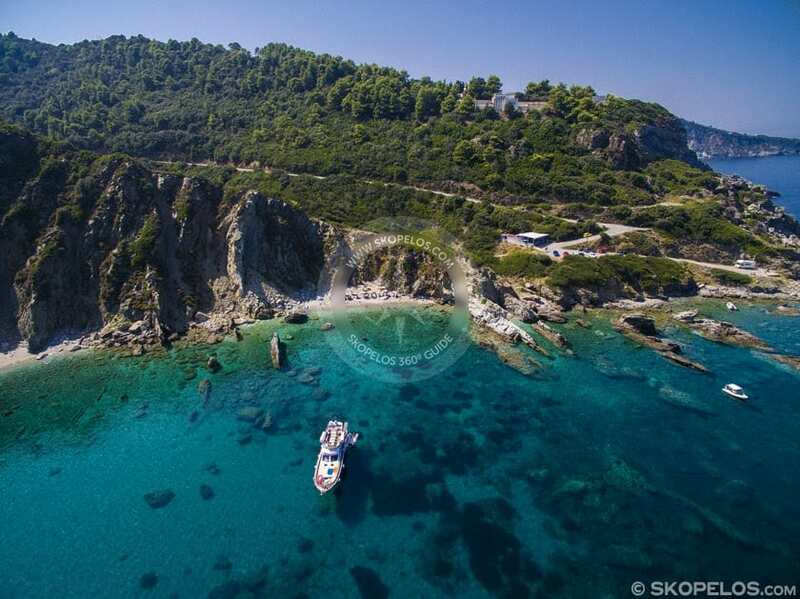 The beach of Agios Ioannis Kastri is located on the northeastern side of Skopelos. 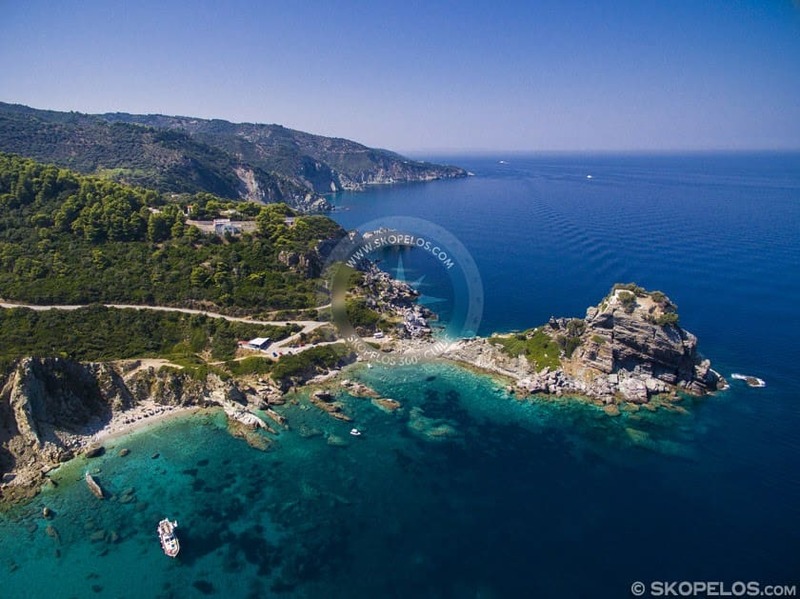 You can access it by private car as there is an asphalt road. 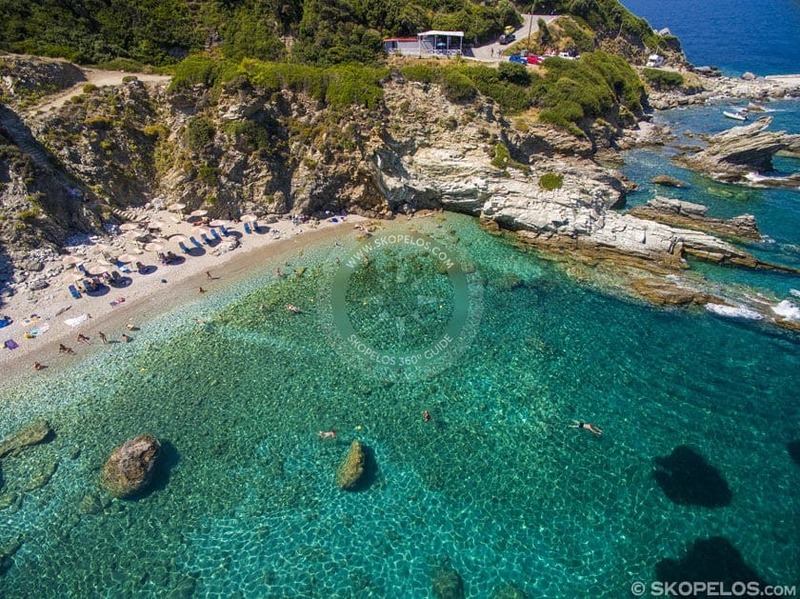 You will meet two small rocky beaches with incredible waters. 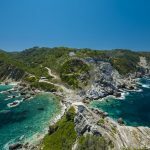 Park your car to go to the first beach on foot. 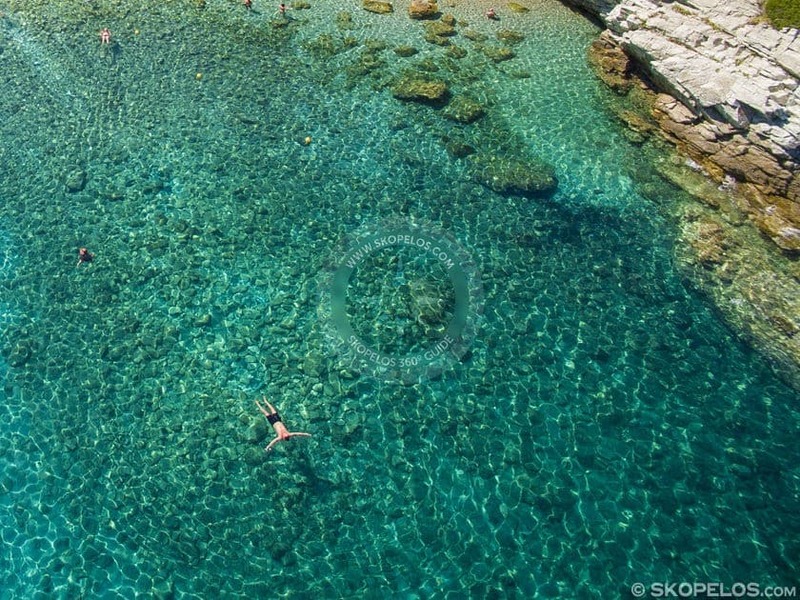 In order to get to the next one you have to swim or climb some rocks. 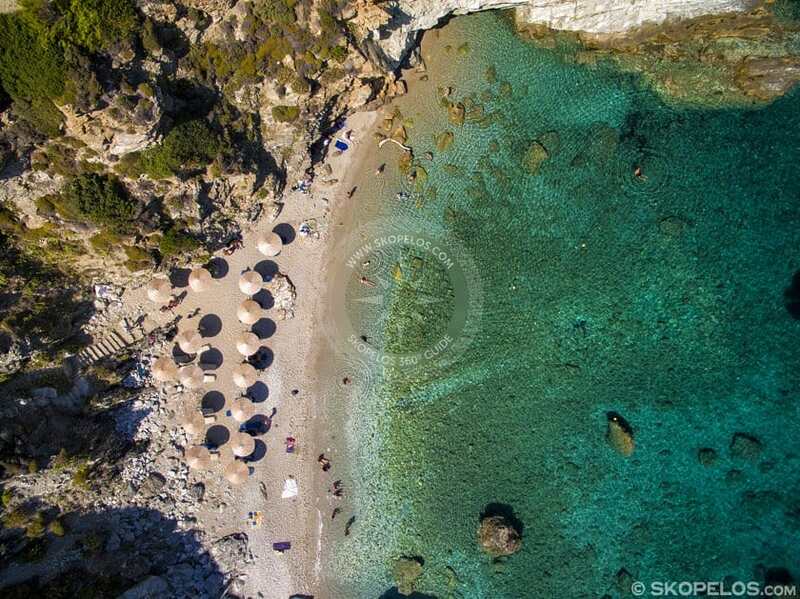 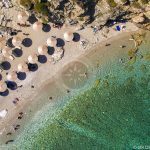 Skopelos Agios Giannis Kastri Beach has a few umbrellas and deck chairs. 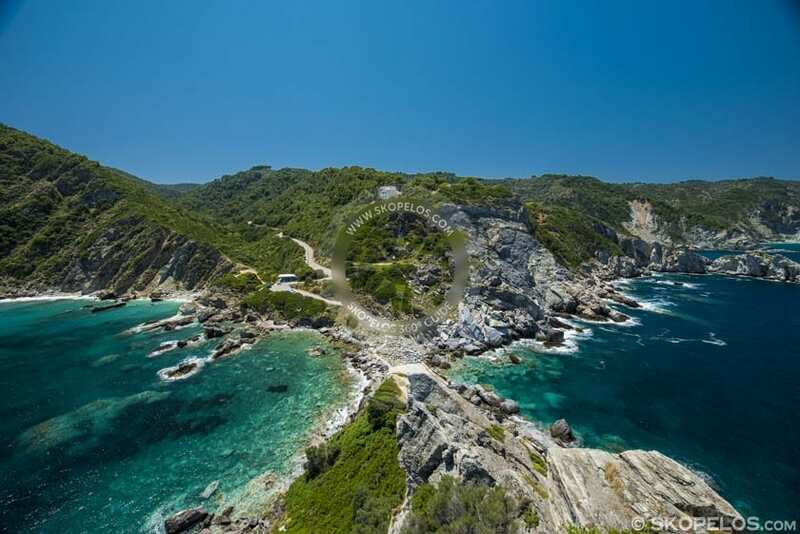 Moreover, there is a canteen on the road during the summer season that offers water, soft drinks, coffee. 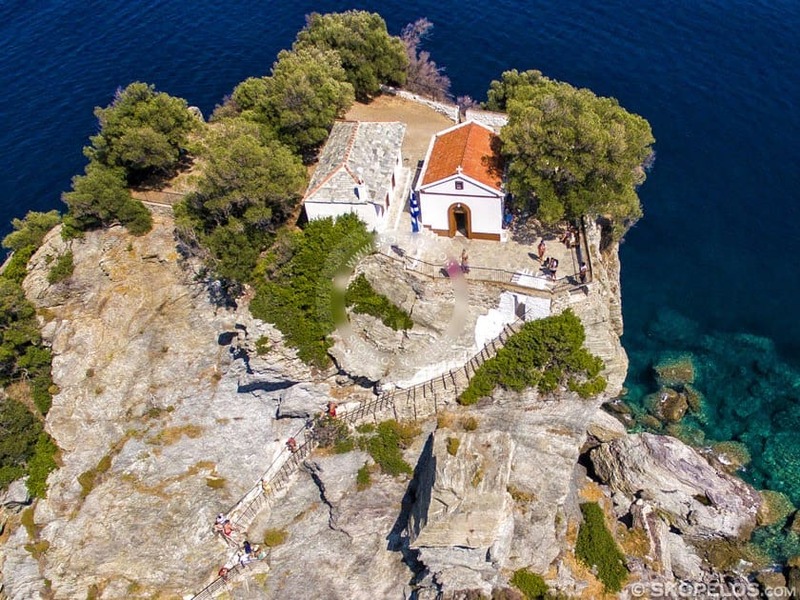 The church of Ai Giannis Kastri became popular through the Hollywood film Mamma Mia, since it is the church that celebrated the marriage of the protagonists. 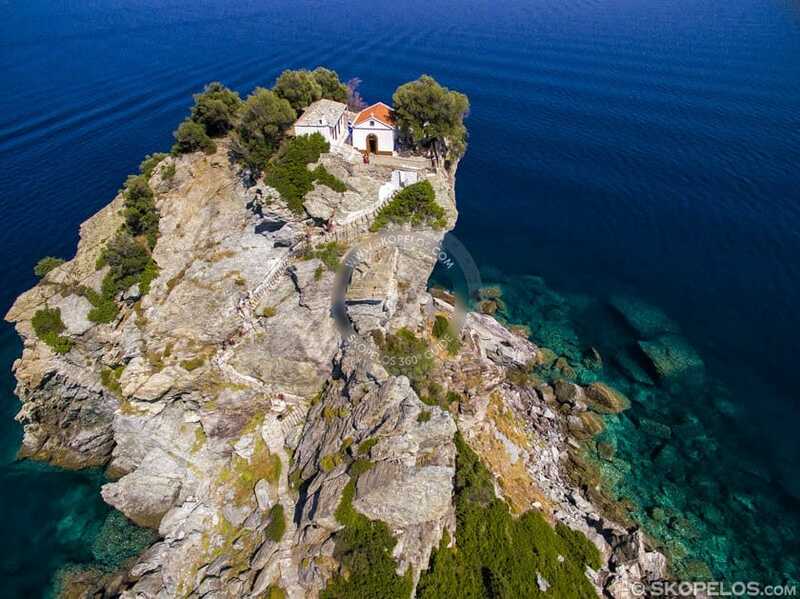 Obviously, the landscape captivated the film producers as it will undoubtedly captivate you when you ascend the 106 steps you require to reach the chapel. 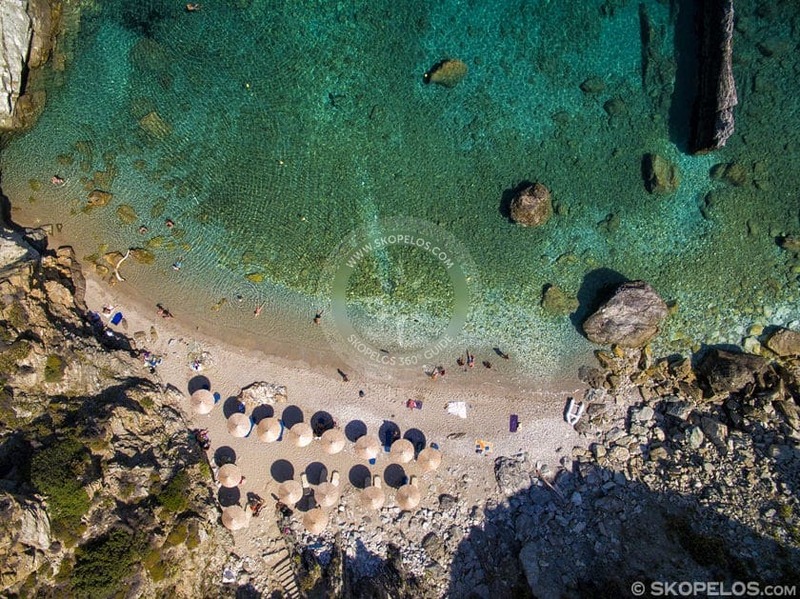 Furthermore, the magic of the landscape is everywhere. 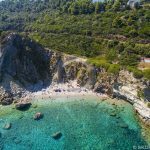 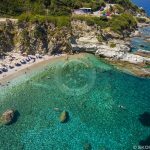 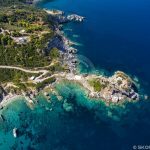 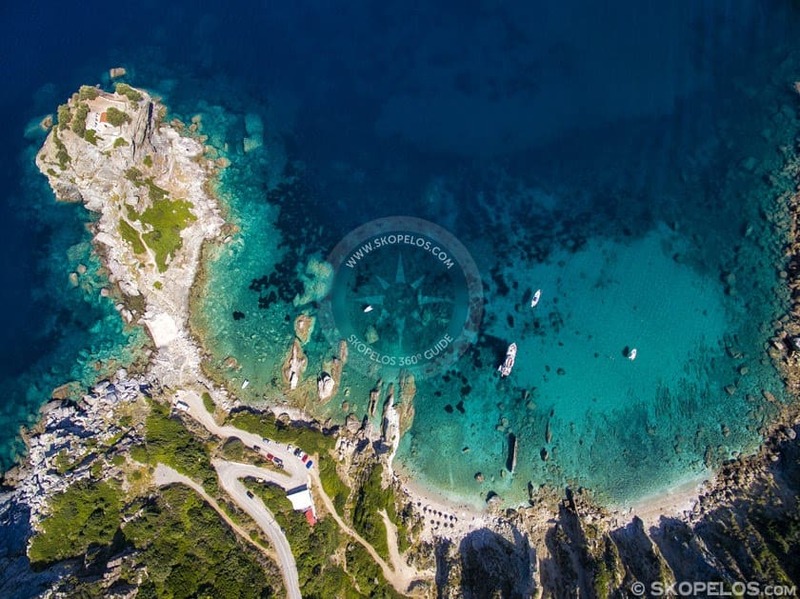 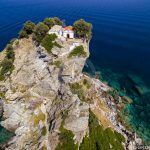 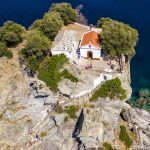 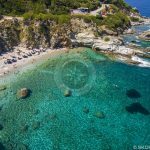 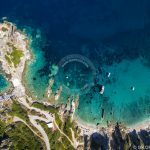 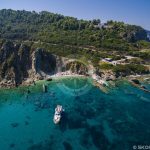 You will enjoy swimming with the unique background of Skopelos. 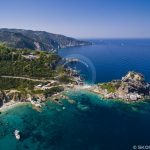 Agios Ioannis Kastri beach is 30 km from Skopelos Town. 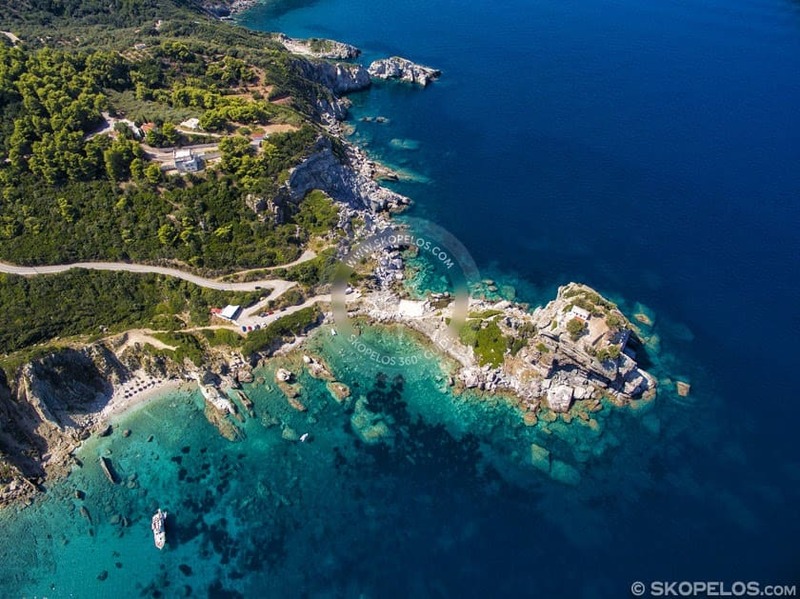 On the way to Glossa you will come across a road in your right hand that ends up in the church of Agios Ioannis. 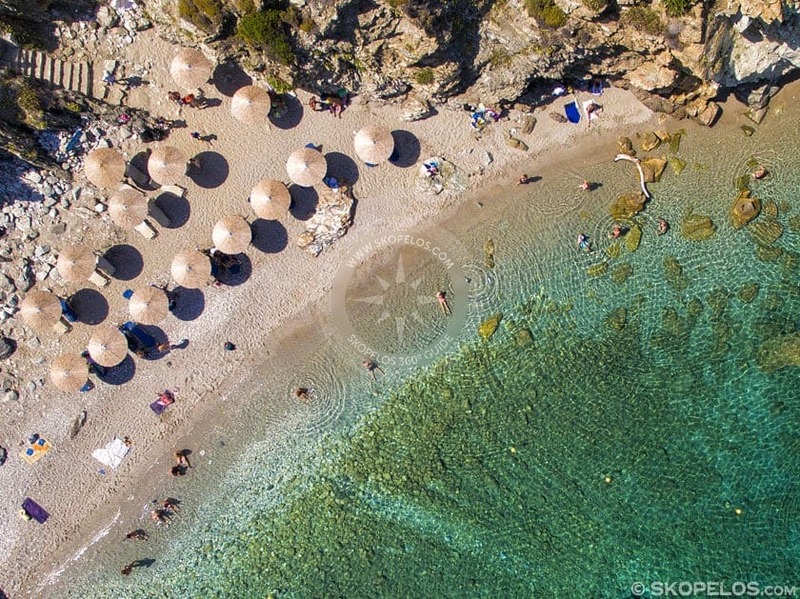 There are signs that guide you.